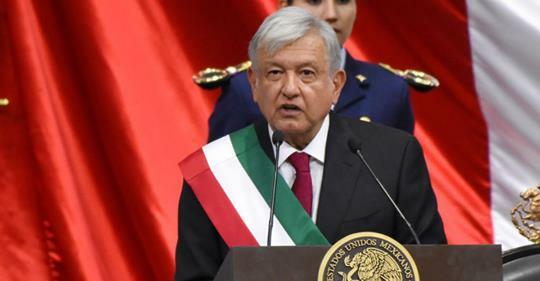 MEXICO—Mexico’s new President, Andres Manuel Lopez Obrador signed an agreement with El Salvador, Guatemala, and Honduras on Saturday, December 1 that would increase employment in the region for citizens, the Washington Post first reported. There will be a meeting in the first quarter of 2019 with Ministers of all four countries working together to develop programs and projects to generate jobs to lessen poverty and improve the quality of life for citizens in Central America. According to Politico, Mexican officials are scheduled to meet with U.S. Homeland Security Secretary, Kirstjen Nielsen to discuss additional issues at the border on Monday, December 10. The Trump administration would like to come to an agreement with Mexico where asylum seekers could stay in Mexico while their claims are being processed. Mexico would like the United States to fund an economic plan that would help with poverty in the region. Marcelo Ebrard, Mexico’s incoming foreign minister indicated that the United States should pay $20 billion for the Central America renewal. “Mexico by itself is going to invest in our own territory during the next administration, more than $20 billion and so any serious effort regarding our brothers in El Salvador, Honduras, Guatemala should be for a similar amount,” said Ebrard. Migrants have been living in a tent at a sports complex in Tijuana, Mexico, but were recently moved to a concert hall for health reasons. Recent rains in the area left the tent region unsanitary. Some Mexican officials have indicated that the migrants should stay in the area and work in Mexico. The new administration indicated that the asylum seekers can be turned into workers to help meet the country’s needs.